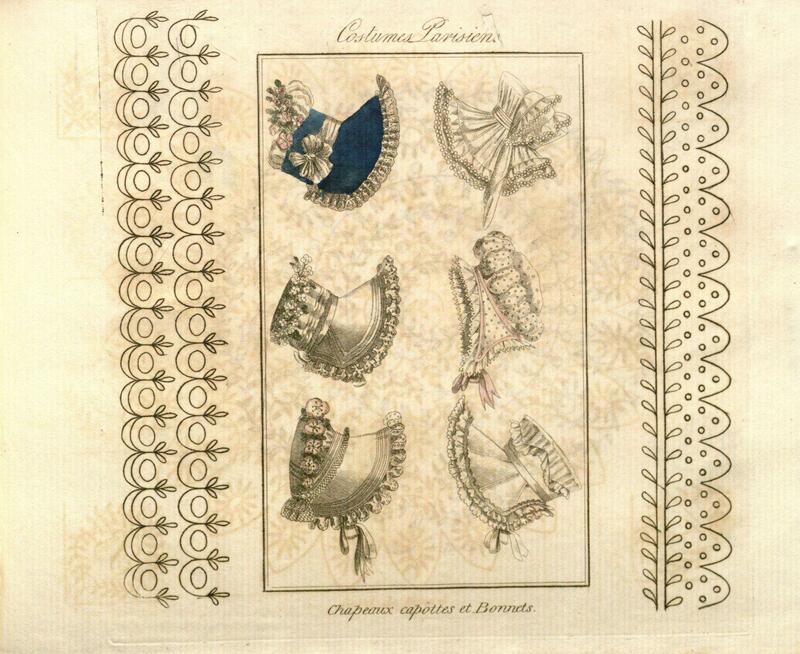 While most of the Archive documents musical activity at the court of George III, a few items concern related literary and artistic pursuits of the princesses. 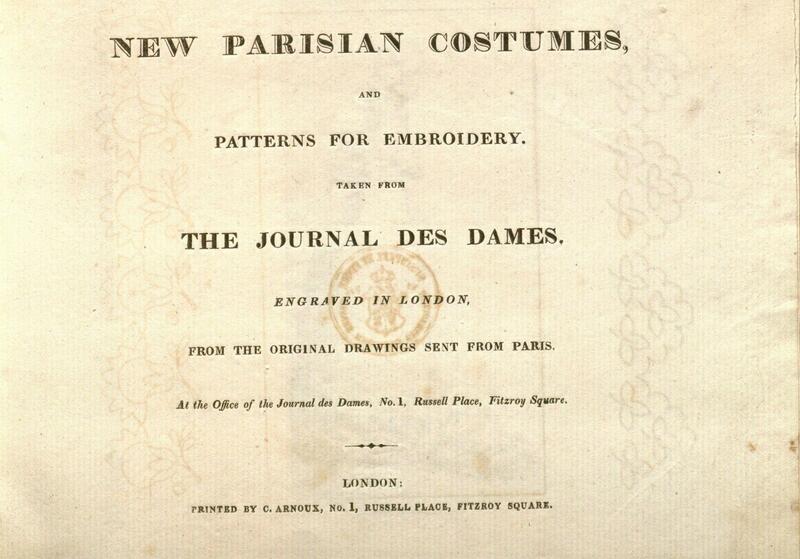 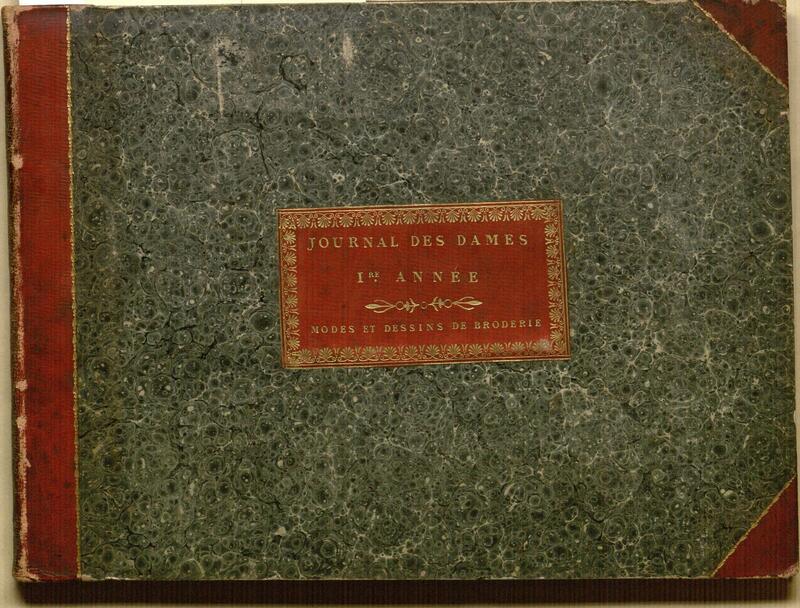 Journal des dames, a serial published in London, brought current fashions in French literature, music, and dress to English subscribers. 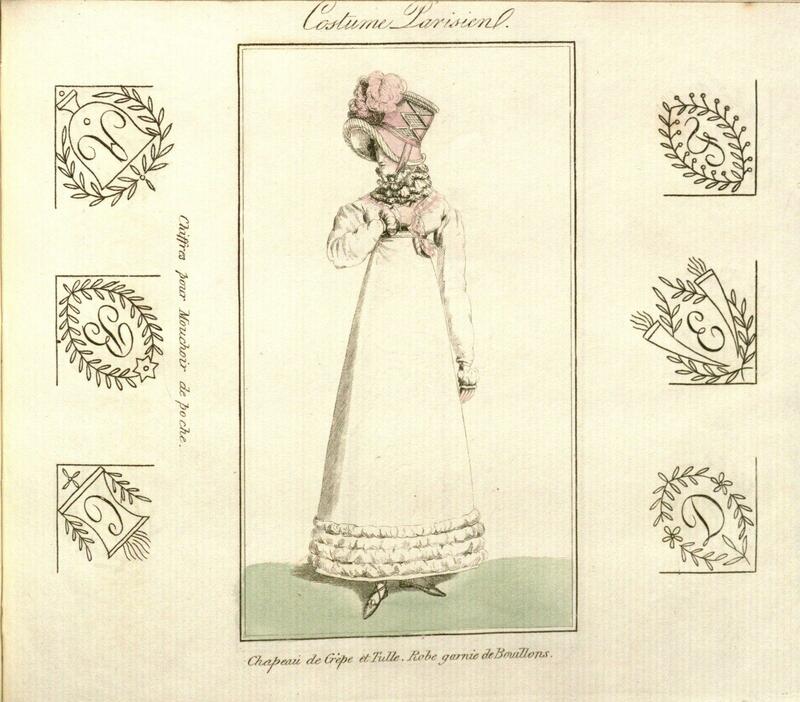 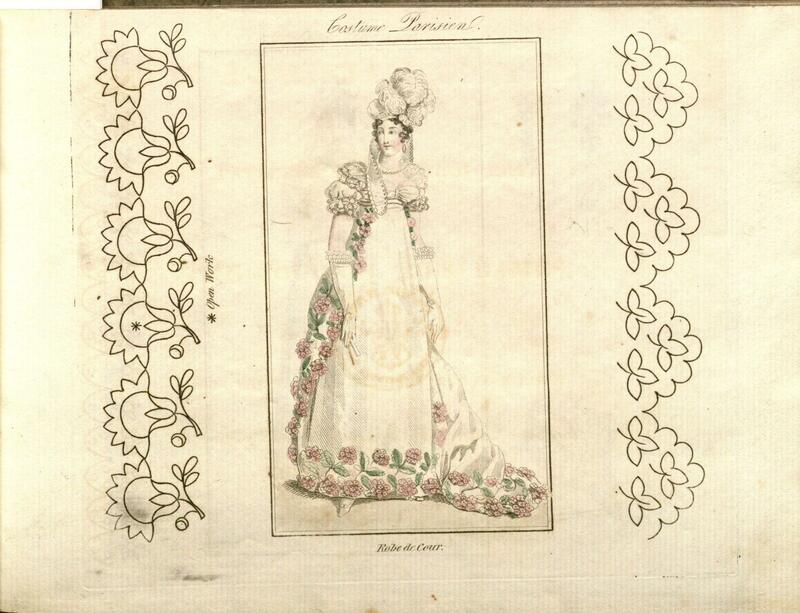 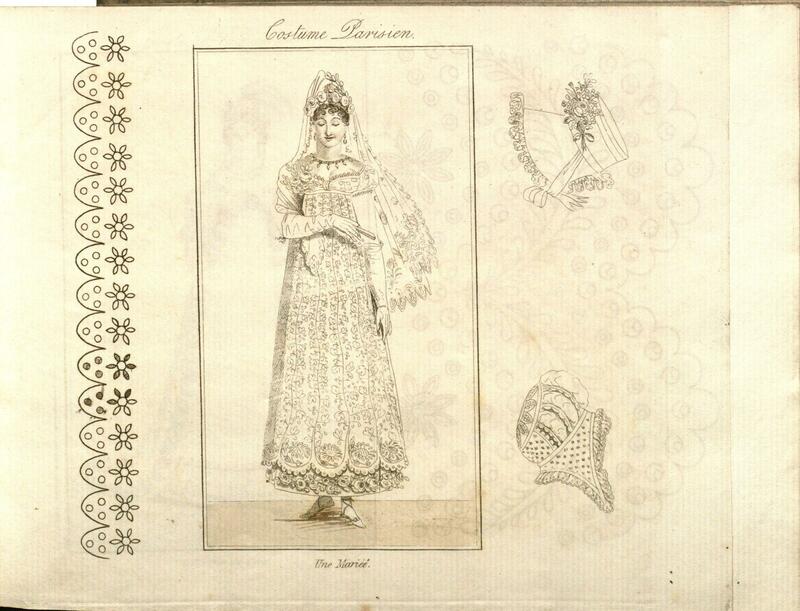 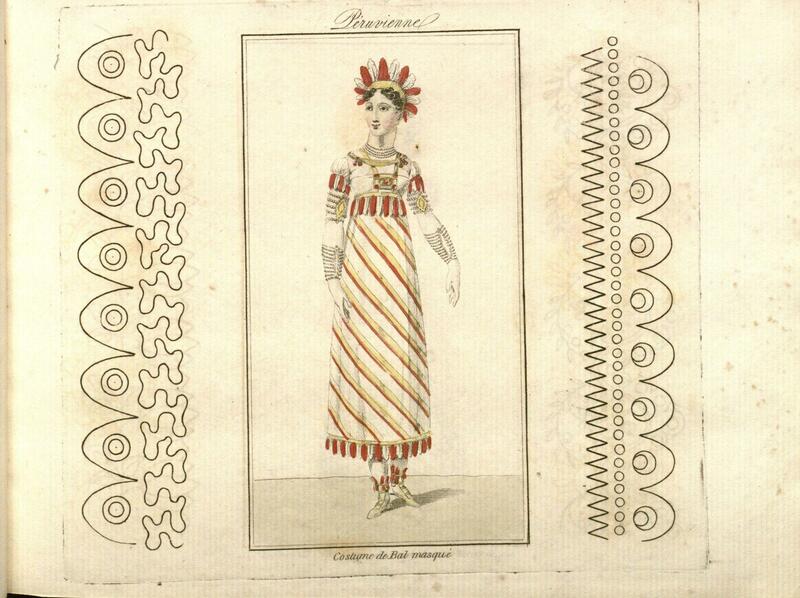 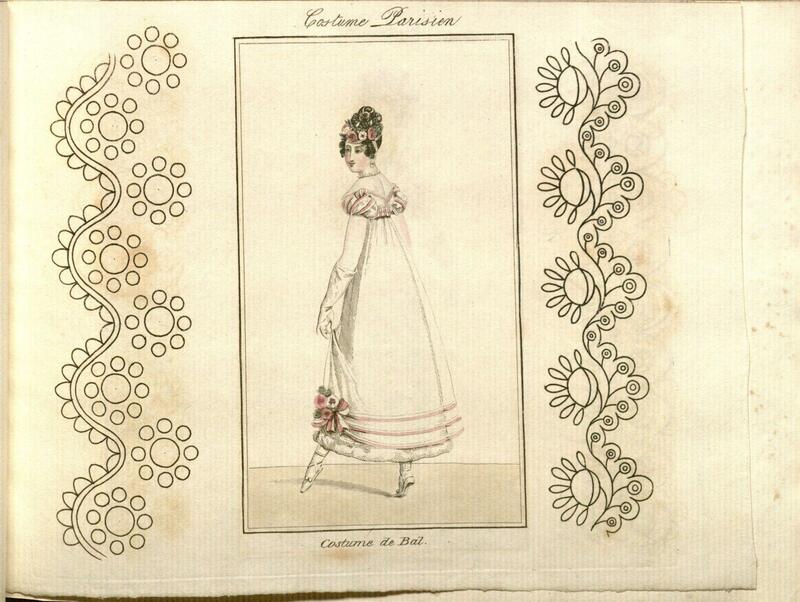 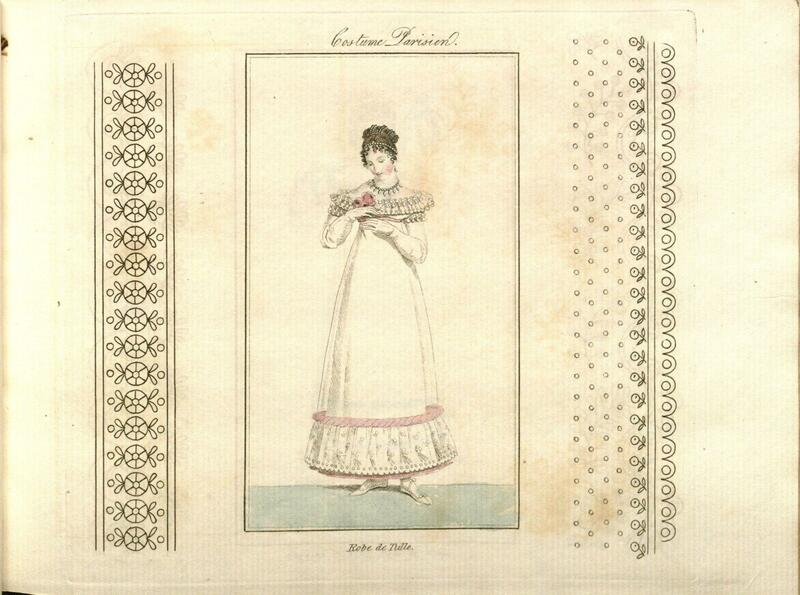 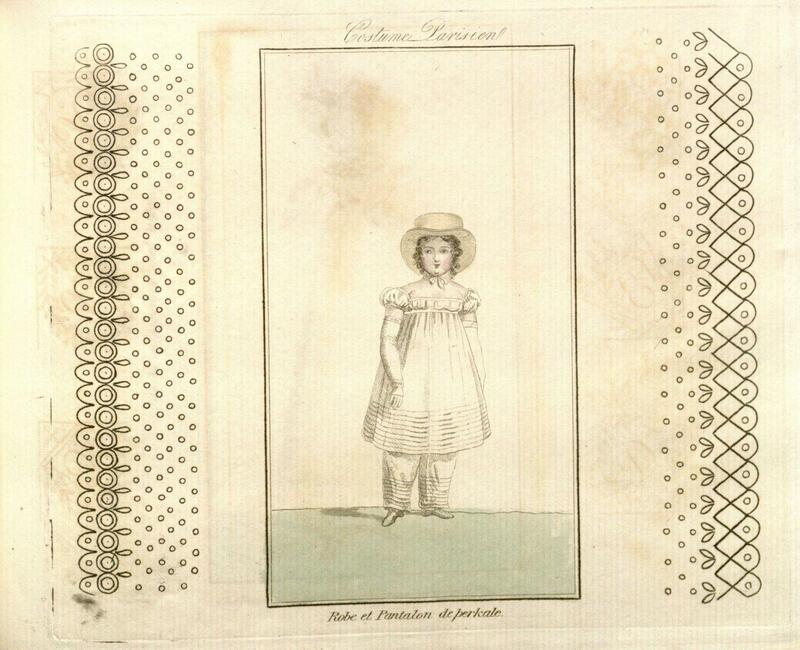 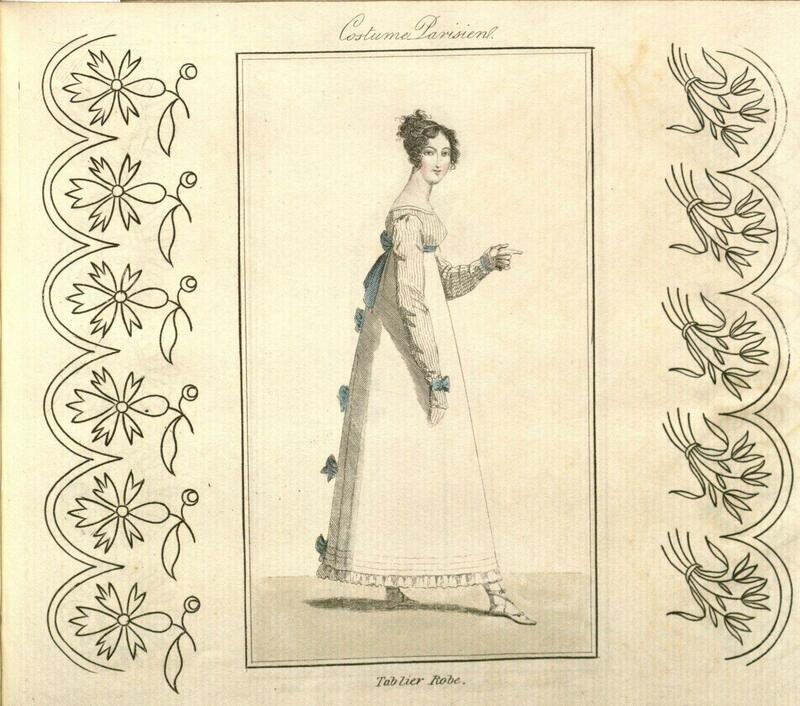 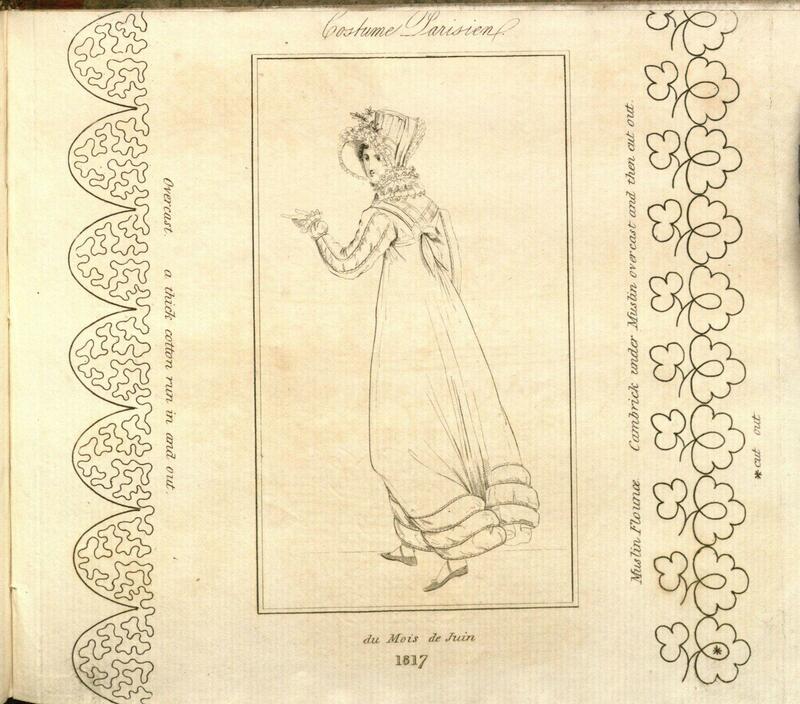 Five volumes of bound issues for 1817-1819 are found in the Archive, containing articles for language study, printed in French and Italian on facing pages; music and dance instructions for French social dance; and, as shown in the example above, fashion plates and embroidery patterns.